Buzz Aldrin, who walked on the surface of the moon with Neil Armstrong in 1969, has been medically evacuated from the South Pole, the National Science Foundation said. The plane carrying the 86-year-old former astronaut arrived in New Zealand on Thursday afternoon ET. Aldrin was visiting Antarctica as part of a tourist group. In a Tweet about the trip on Monday, Aldrin wrote, "We're ready to go to Antarctica! May be our last opportunity to tweet for a few days! We're go for departure to the launchpad!" and tagged his manager, Christina Korp, and another apparent travel companion. A second Tweet showed Aldrin and a group of about a dozen travelers whom he referred to as "Buzz's Polar Penguins." The tourist company with which they were traveling said in a statement that Aldrin's condition had "deteriorated" during his visit to the South Pole station. "As a precaution, following discussion between the White Desert doctor and the US Antarctic Program (USAP) doctor, Mr Aldrin, accompanied by a member of his team, was evacuated on the first available flight out of the South Pole. ... His condition was described as stable upon White Desert doctor's hand-over to the USAP [medical] team." The National Science Foundation, which manages the U.S. Amundsen-Scott South Pole Station, said in a statement that it had provided the evacuation flight on Thursday from the South Pole station to another U.S.-run station on the Antarctic coast, and then to New Zealand. 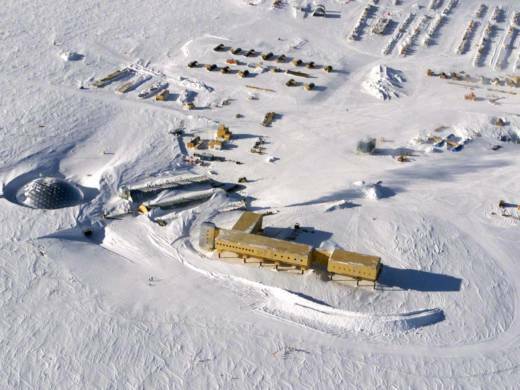 The NSF said the first leg of the evacuation was on a ski-equipped cargo plane flown by the Air National Guard, which provides planes to and from U.S. installations in Antarctica. Aldrin was one of three astronauts on NASA's Apollo 11 mission to the moon, on which he was tasked as the lunar module pilot and rendezvous expert. A live video allowed people on Earth to watch as he and Armstrong became the first two men to set foot on the moon's surface. Aldrin retired from NASA in 1971. In recent years, he has advocated for a manned mission to Mars.